Cyndi – Very cool project. 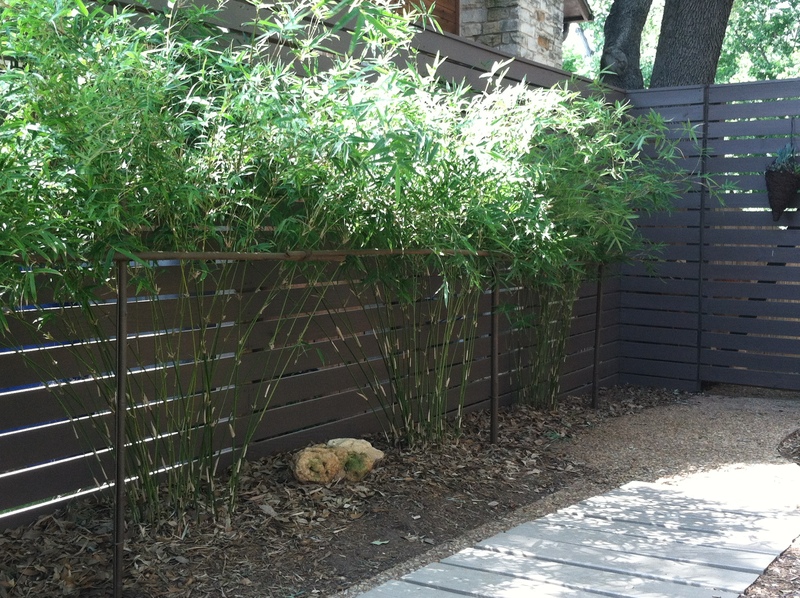 I may end up stealing this idea for some of my plants – mostly for the plants that just take over (i.e. the Gregg’s mistflower). 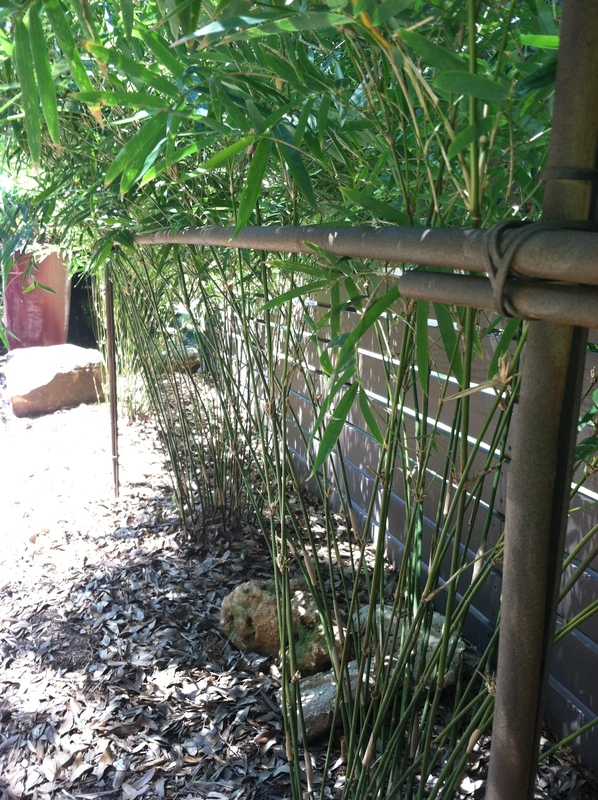 So it wouldn’t be a tall corral…a very short one, actually; but it would keep the plant from flopping over onto the walkway. Great to read, Katina~ that’s why I posted the info. 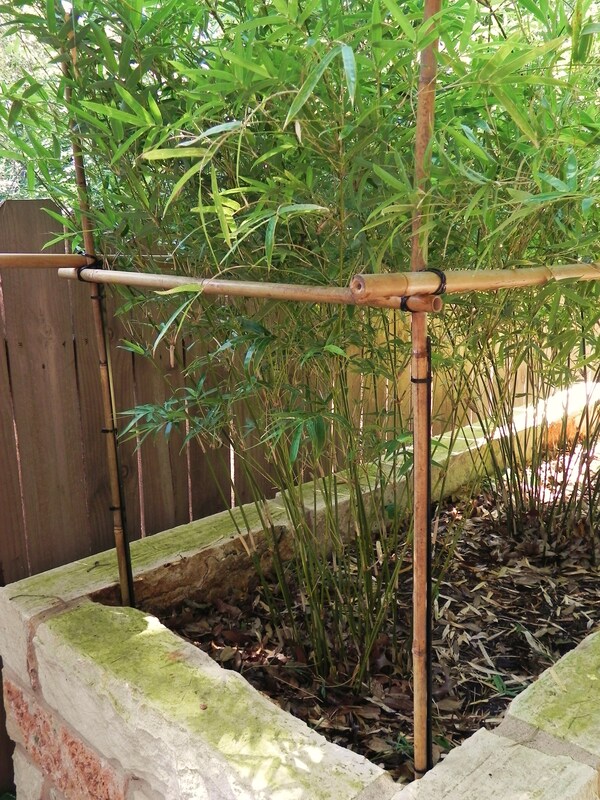 You could use thinner bamboo canes – they’d practically disappear. I’m definitely going to borrow your idea, Cyndi. 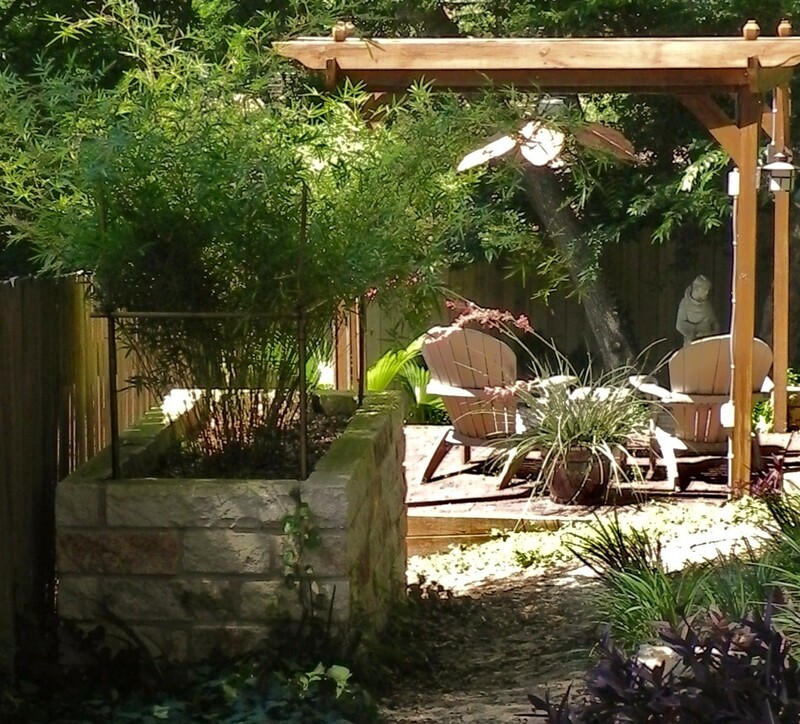 I liked it when I posted about the Houston garden, but your solution is even better! Thanks for sharing. Very clever and stylish solution. Painting the support changes the whole aesthetic. 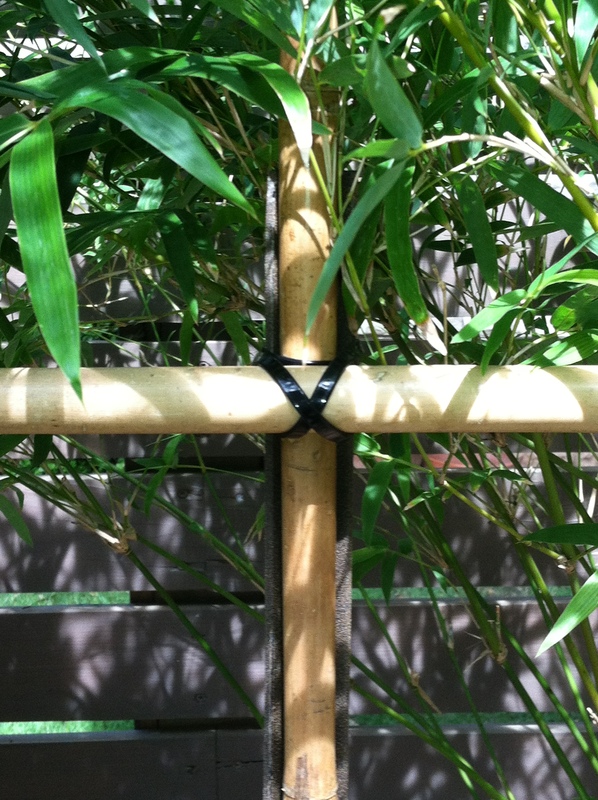 Did you do anything special to prime the bamboo before painting? No priming, Ally- I used Rust-Oleum’s Multicolored Textured product- it has a grainy finish that works well for wood or metal. What a beautiful garden! I’ll add it to our taping list! 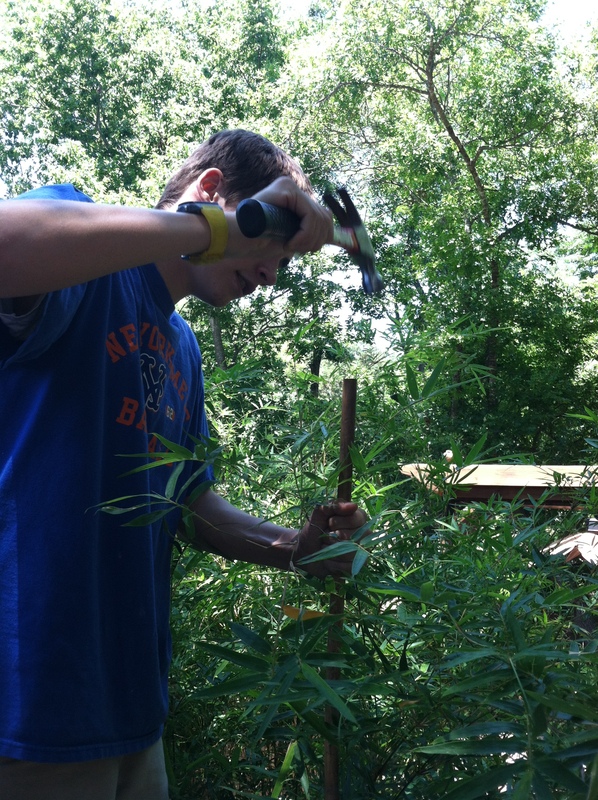 Love your bamboo wrangling technique too. Thank you, Linda! 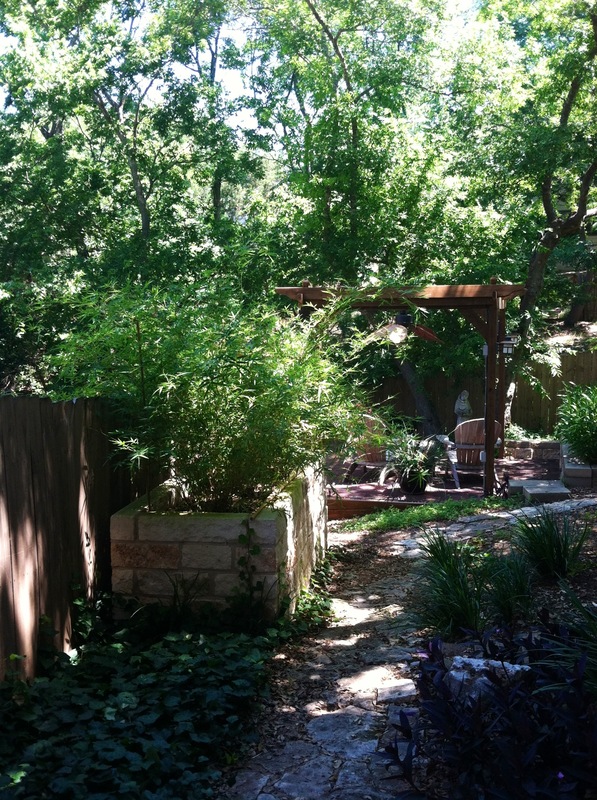 KLRU’s Central Texas Gardener is such an enjoyable tool for Austin gardeners whether novice or master. That looks excellent – I can see a few places around here that could benefit from doing that – thanks so much! I am really happy you are back blogging – I missed your posts! I love how the curing path pulls your eye through the landscaping in the front yard. 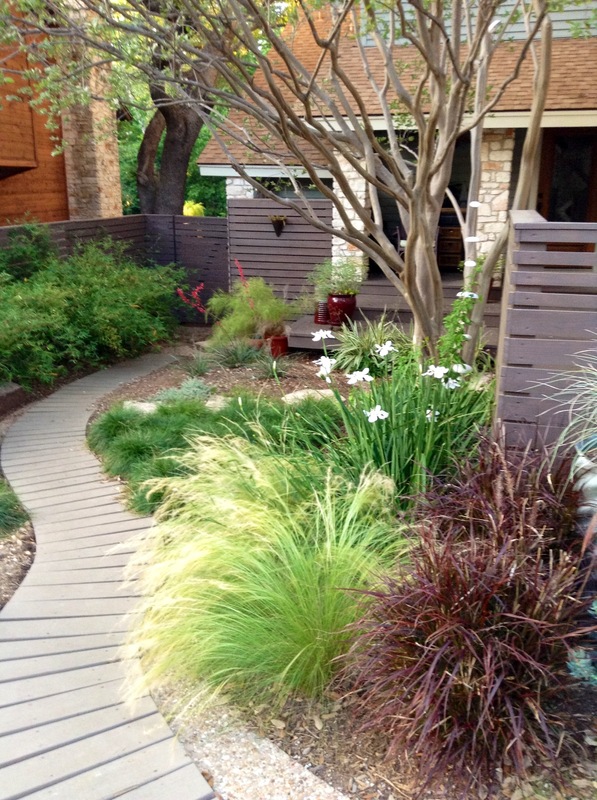 Really enjoy the color combinations and the use of different plants to give contrast and texture…very enjoyable.